True HEPA Filter captures 99.97% of particles and impurities as small as 0.3 microns, including mold spores, pollen, dust mites, most airborne microbes, allergens and cigarette smoke. Built-in AeraSafe™ Antimicrobial treatment protects from the growth of odour causing bacteria, mildew and fungi. 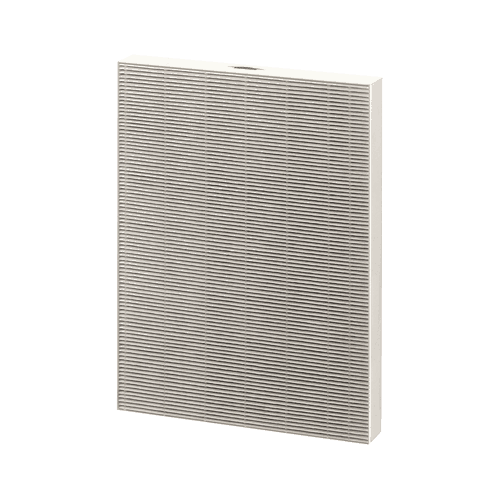 Replace the True HEPA filter approximately every 12 months to ensure that the Air Purifier continues to operate optimally. Certified by the Association of Home Appliance Manufacturers. The ECARF (European Centre for Allergy Research Foundation) Seal of Quality is awarded to allergy-friendly products and services. The Allergy UK Seal of Approval indicates that AeraMax has been scientifically proven to reduce exposure to pollen, mould, house dust mite, smoke, cat and dog allergens. Creates an ionized field to help to safely remove airborne pollutants.